Choice of Style & Finish that best suits your interior Décor. Simple and neat point of information for your guests. We know you will appreciate the need for your hotel guests to be aware of the Top visitor attractions & experiences in Dublin City and environs. Visitors who have ready access to current accurate information on the activities and places of interest in the Dublin area are more likely to extend their stay, return and recommend your accommodation. 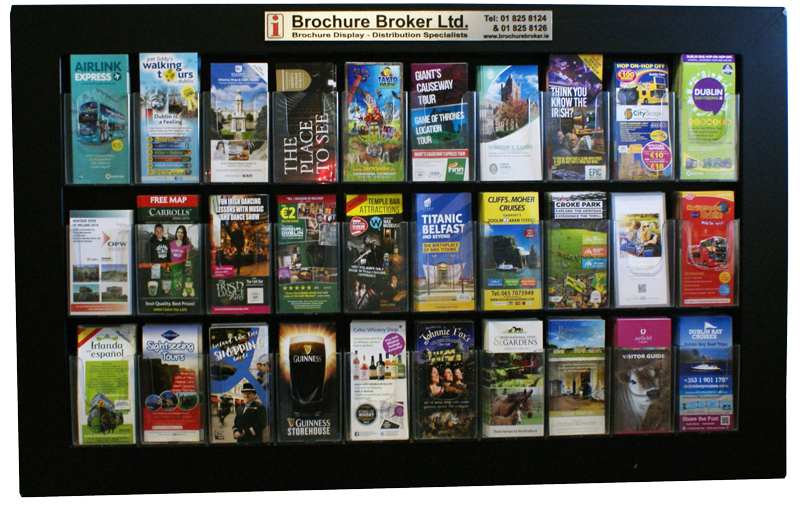 Brochure Broker distributes and displays tourism related literature to over 300 locations in Dublin within the hospitality, tourism and corporate sectors. Our service has been welcomed and endorsed by many national organisations including the Irish Hotels Federation and Failte Ireland. We provide locations (min. 15 bedrooms) with an attractive, purpose designed brochure display stand, FREE OF CHARGE . You may select the finish and style that best complements the interior décor of your location. 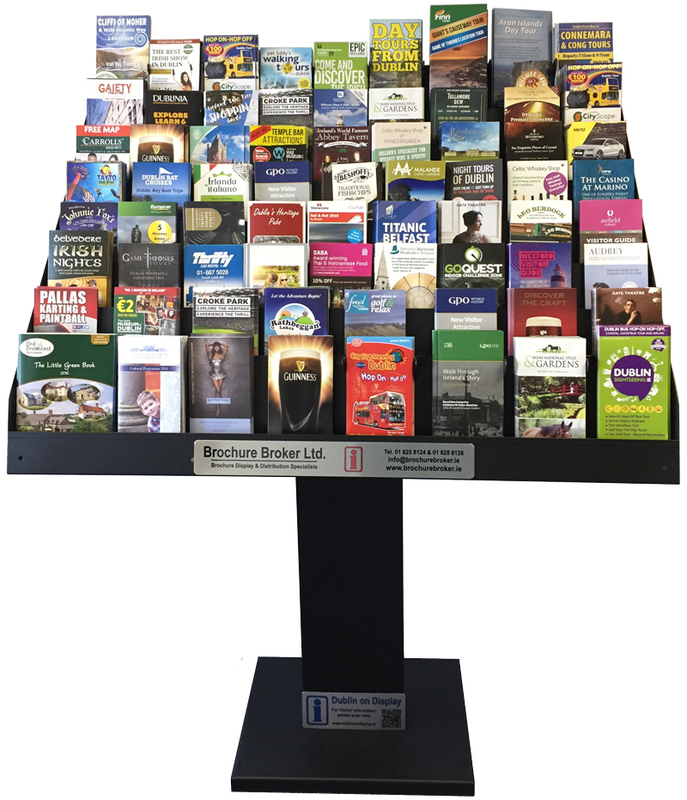 Our trained personnel service the display stand regularly, keeping it stocked with useful information for your guests, and ensuring that all information is neatly displayed, relevant and in date. This service releases your staff from the time-consuming task of maintaining an information point for your visitors, and is absolutely FREE OF CHARGE. In return for hosting a stand, we can offer you some FREE Display/Distribution in Dublin Airports’ Car Hire Hub & Dublin Port Arrivals T1 + T2. 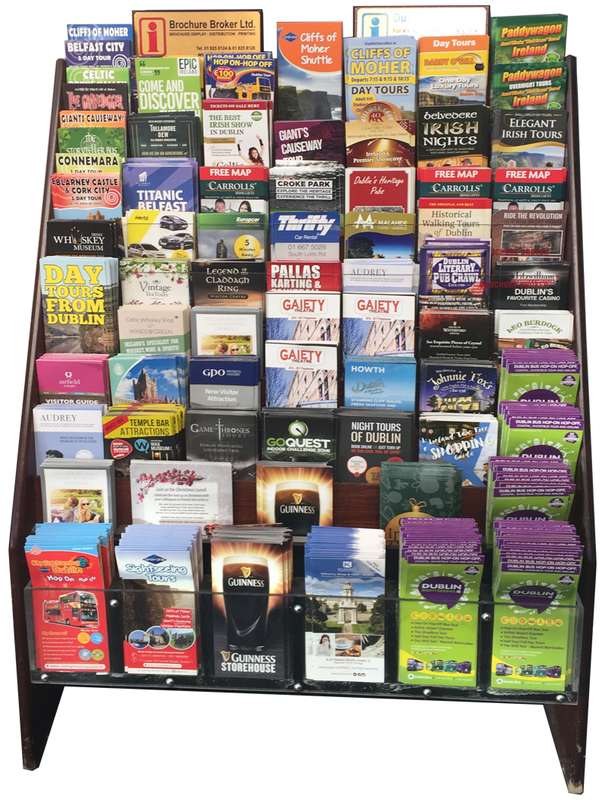 Also, FREE advertising on our tourist information website : Discover Dublin – www.DublinOnDisplay.ie – that compliments and enhances our brochure display system. It includes a large section for Hotels / Hostels / Accommodations, which your venue will be profiled for hosting our Display Unit.